Boatshed London are pleased to offer this Jeanneau Prestige 36 for sale. This is a 2002 model of the popular flybridge cruisers and this one is well-specced with modern nav equipment, cream leather interior and teak decks and flooring. The boat is fitted with twin Volvo Penta KAD300's which should be good for 26 knots or comfortable cruising at 22 knots. The current owner has upgraded the nav equipment to Raymarine touch screen plotters at both helms. There is also a bowthruster fitted for tight maneuvering. On the day I visited the boat, a cold November day, both engines started straightaway so mechanically she is in good condition and was last lifted in 2018 for antifouling and new anodes. The engines were also serviced in 2018. The covers and upholstery are all in good condition as is the teak although it would benefit from a professional valet and treatment. 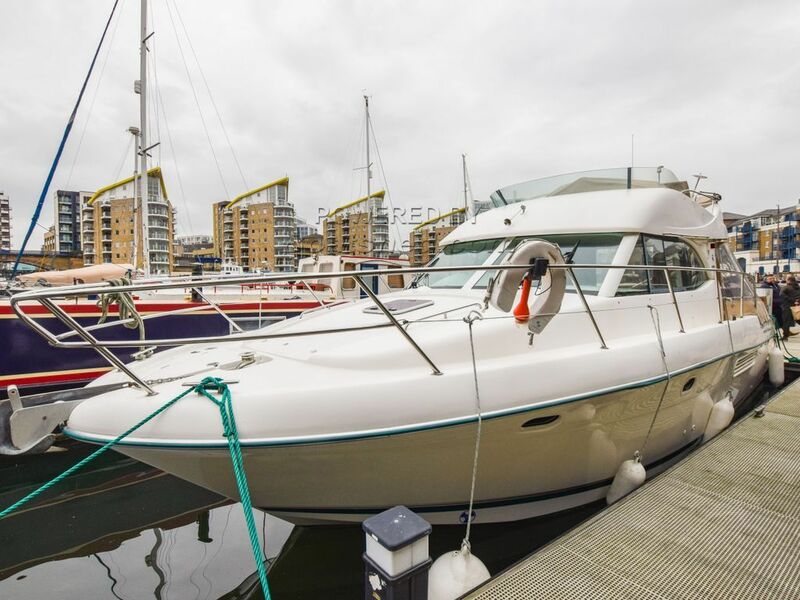 Well priced to sell and available with the option of extremely desirable leisure mooring in Limehouse Marina, east London. Boats usually go for well above their actual value here so there is investment potential here too. This Jeanneau Prestige 36 has been personally photographed and viewed by Angus Rose of Boatshed London. Click here for contact details.